Are you a small business owner? Are you worried about your business’ survival when you are faces with competition from big companies? If so, there is need for you to take advantage of the latest marketing tools like using qr codes for your business. Mobile marketing is one of the latest trends and a sure way to ensure that your company is accessible to people who are constantly on the move. QR codes have been created in such a way that they can be scanned and read using mobile smartphones. These 2D codes are much like barcodes but with a bigger difference in that, they can store any type of information and can be scanned using a phone’s camera. Therefore, you can use qr codes to exchange business contacts and to market your business online without having to worry about limiting your words as is the case in print media. These codes are also free to create making them a budget-friendly option for your business. On banners and fliers: In the past, using banners and fliers meant limiting the amount of information you give out. Thanks to qr codes, you can now use banners and fliers and not have to limit the words by including a qr code that has been linked to your website. 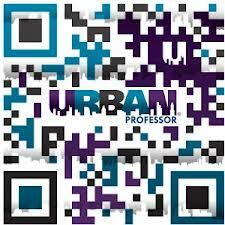 Business cards: Many people are now including qr codes in their business cards. The codes can also be linked to your business website or have your contact information.